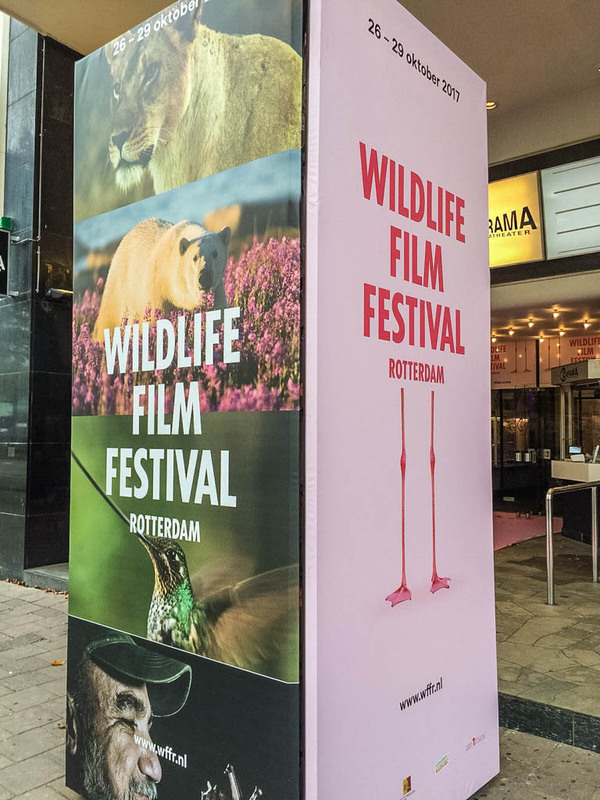 One of our Wilderness advocates visited the Wildlife Film Festival Rotterdam on behalf of the European Wilderness Society last weekend. The multi-day film festival was well received by a broad range of visitors, most of them especially interested in these wildlife documentaries. Meeting the producer Alan Lacy (Gray Area: Wolves of the Southwest) and director Iris Grob (Wij en de Wolven) confirmed once again that wildlife species like wolves are endangered on a global scale. In the waters of Sri Lanka, film makers are searching for the largest animal on our planet: the blue whale. Instead, they find disturbing underwater landscapes, filled with plastic remains of human society. They found plastic bottles of coke all the way down to 5,000 meters below the water surface. A must-see to raise awareness on our impact on ocean ecosystems. “It is shocking to see how much we are destroying our planet” says our Wilderness advocate. A Plastic Ocean won the ASN Awareness Award during the film festival. The Namibian desert is one of the wold’s most hostile environments, but still a variety of mammals manages to survive here. The daily struggle in search of food and water shapes the co-existance of elephants, giraffes, and even lions. A great documentary on natures will and power to adapt to changing environments. The African baobab trees play a vital role in their local ecosystems. The ancient trees provide food, shelter, and humans sometimes even use it as burial place. What makes the age determination so difficult, is that most trees are hollow on the inside. A living mysterious species, who’s role in nature humans are just beginning to understand. This Dutch documentary shows how locals welcomed the returning wolf to the Netherlands back in 2014. Following a forester with his wolfsdog, it is clear that communication and education play a key role in the acceptance of the general public. As a local livestock owner mentioned, there is no reason to be afraid of the wolf, when you place your livestock in a night enclosure. What started of as an 3-minute video became a 50 minute documentary about the Mexican wolves in Arizona. Driven almost to extinction, a population from 7 individuals grew to over 100 at this moment. The conflict with beef cattle livestock owners increases, yet legislation is not protecting the wolves enough. What do livestock owners do with the wolves? “Shoot, shovel and shut up.” It has cost the lives of several individuals so far, seriously endangering the genetic diversity in the population. Also, extraordinary social behaviour has been recorded, where a wild pair of wolves adopted young orphans, released from a breeding programme.